HKG –CGO, BKK, HAN, HGH, PVG, SGN, SIN, TPE, TSN V.V. Hong Kong Air Cargo Carrier Limited in a more restrictive manner than the requirements of IATA Dangerous Goods Regulation (IATA DGR) must advise the IATA Secretariat promptly of such exception for publication as an operator variation as below. RH-01. Dangerous goods in excepted quantities will not be accepted for carriage. RH-02. Class 7 radioactive materials, including all types of excepted packages will not be accepted for carriage. RH-04. Dangerous goods in airmail will not be accepted for carriage. – Consolidations with only one house air waybill. RH-06. 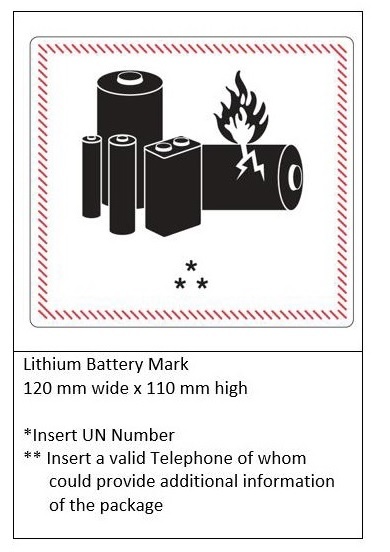 UN3090 Lithium metal batteries. 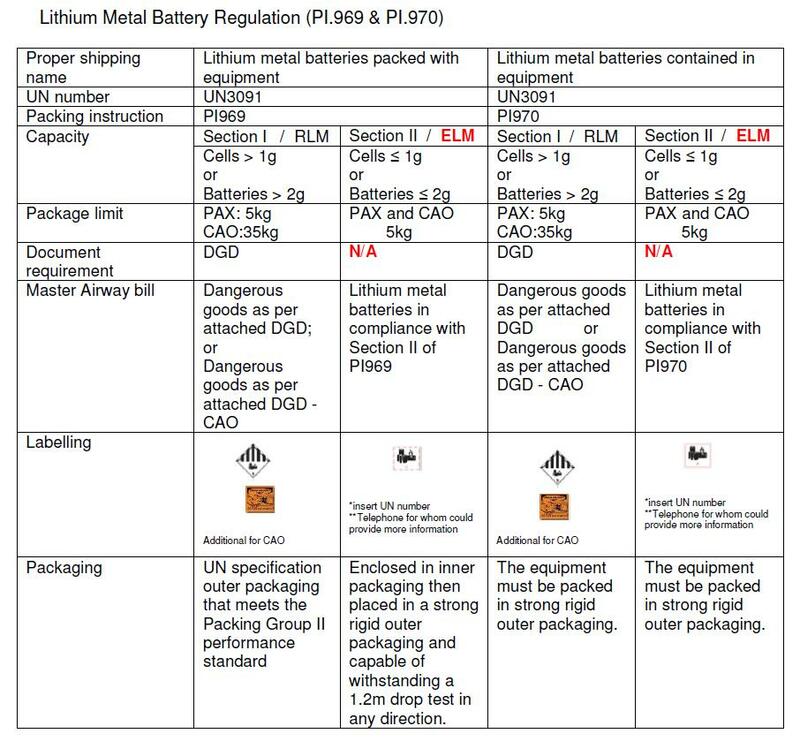 Lithium metal cells and batteries will not be accepted for carriage as cargo. This applies to Section IA, IB and Section II of Packing Instruction 968. RH-07. 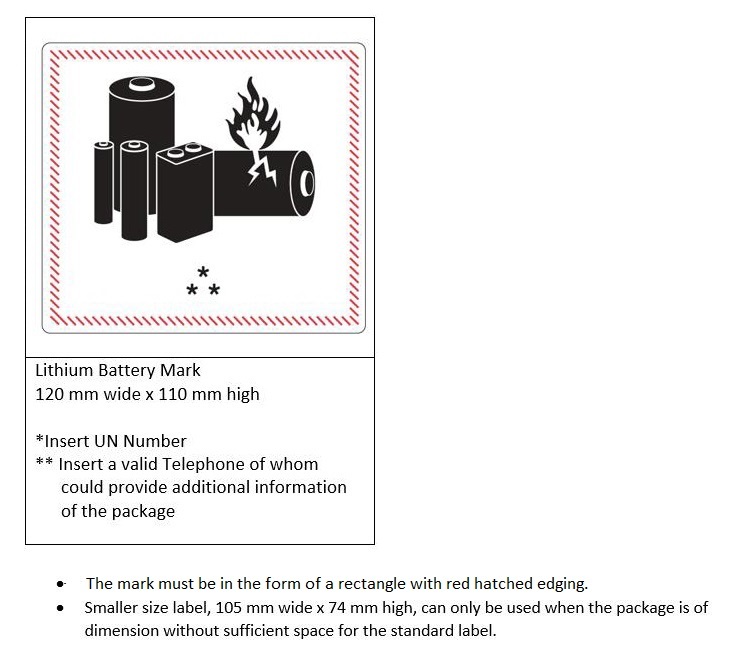 UN3480 Lithium ion batteries (including lithium polymer batteries). 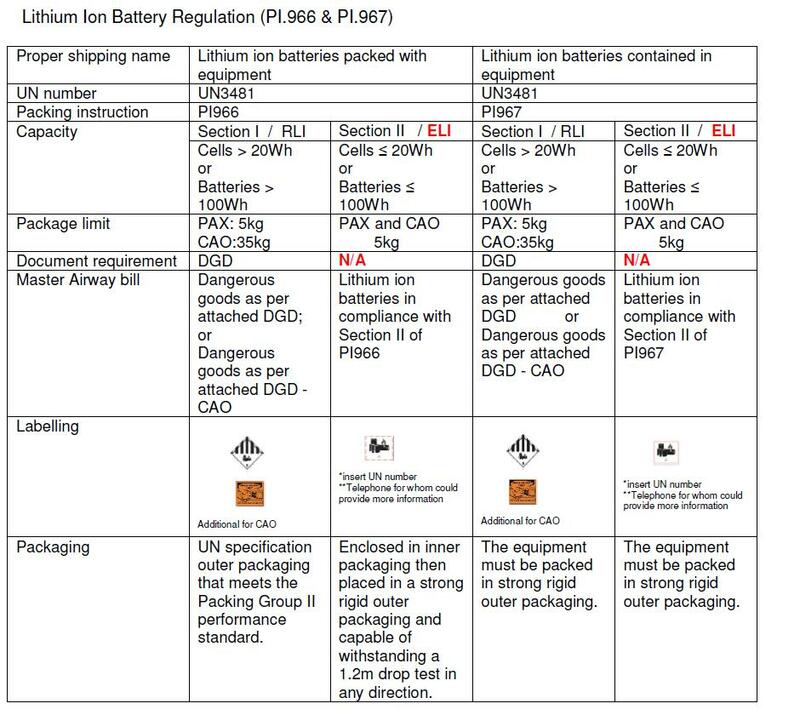 Lithium ion or lithium polymer cells and batteries will not be accepted for carriage as cargo. This applies to Section IA, IB and Section II of Packing Instruction 965. The package does not contain damaged and / or defective cells and / or batteries. Contact GOP Headquarter before acceptance of Lithium Batteries in case of doubt. The mark must be in the form of a rectangle with red hatched edging. Smaller size label. 105 mm wide x 74 mm high, can only be used when the package is of dimension without sufficient space for the standard mark. The test proved to meet the requirement of the UN Manual of Test & Criteria, Part III, subsection 38.3. Batteries / Cells are conformed to a design type tested according to the requirements of the 5th revised edition. The report proved that is safe for air transportation. Testing result could be checked by issued no. form the Certification Body. The report wrote the information, intended to provide safety handling procedures.